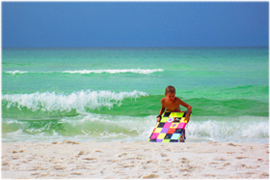 Island Surf Condos is located on Okaloosa Island (Ft Walton Beach, FL.) 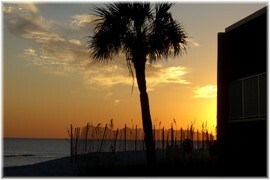 along Florida's Emerald Coast. Our dazzling white sands and crystal blue waters will make this a long remembered vacation! 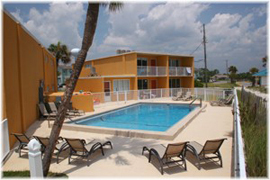 All condo units face the Gulf of Mexico, and we also have a private swimming pool for your enjoyment. 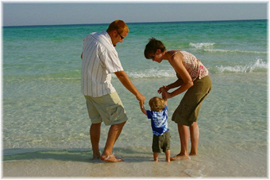 We are a family oriented vacation facility, and we invite you to spend your next vacation at Island Surf Condos. Thank you for visiting our web site, and we hope to hear from you soon! These condos are beachfront & designer decorated. We have many regulars as well as newcomers each year. Either way, you’re guaranteed to make some lasting memories. 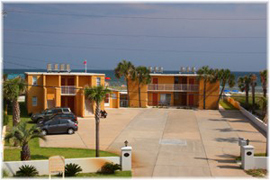 Island Surf is a smaller complex with the privacy of only 11 units. A perfect beach destination on the Gulf front, where you can step out your door to walk the beautiful white sandy beaches. 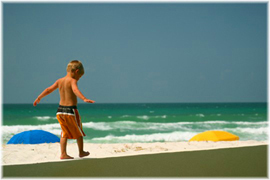 The Ft Walton Beach area is full of activities such as sports & recreation, dining & entertainment, sightseeing & shopping, and plenty more! Copyright © 2007 - 2017, Island Surf Condos. All Rights Reserved.